Today in Movie Theaters Are Dying news, it’s been announced that Ryan Reynolds and Michael Bay will make a movie for Netflix. 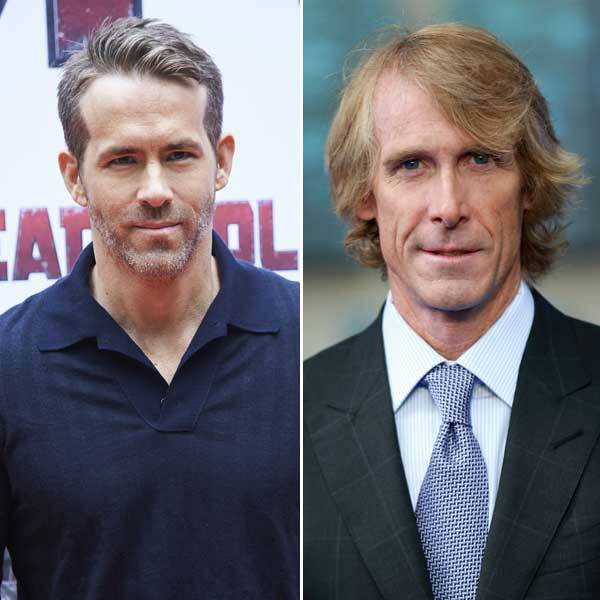 It’s called Six Underground, and Bay will direct and Reynolds will star, and it comes from Deadpool scribes Rhett Reese and Paul Wernick. It’s an original action movie and a potential franchise, which means that Bright didn’t break anyone’s spirit at Netflix if they’re willing to try their luck again on an original concept. Michael Bay has been working with Paramount for years, but apparently they couldn’t—or wouldn’t—match Netflix’s offer of a $125 million budget. That sounds about right, as studios are virtually unwilling to back original concepts anymore, unless you can make them for less than $20 million, like A Quiet Place. So off to Netflix they go, where Bay is one of biggest directors to sign up for a tent pole. Martin Scorsese is undoubtedly the biggest-name director to make a movie for Netflix, The Irishman, which is reportedly spending superhero money and taking forever to shoot. I wonder if part of the appeal for filmmakers at Netflix is that they don’t, so far, impose upon creatives like studios do with things like “budgets” and “schedules”. The appeal for Reynolds is at least in part due to the relative swiftness of the schedule. Netflix doesn’t send talent out on world press tours, which means once he’s done shooting the movie, he’s pretty much done. He’ll do a few days of press ahead of the movie’s release—slated for 2019—but there is no weeks-long publicity effort to clog up his schedule next year, which means he can jump right back into planning the next stop on his Deadpool train, an X-Force movie. The question is, though, how well will Reynolds and Bay work together? Ryan Reynolds is a strong-willed producer. He got Deadpool made by sheer force of will, and when he clashed even a little with the first Deadpool director, Tim Miller, there was suddenly a new director for Deadpool 2. But Michael Bay is also a strong-willed filmmaker. Bay does things his way, and he has been relatively unchallenged over the last decade, ruling the Transformers garbage heap like a despot. He has only just loosened the reins on that franchise, as the first spin-off, Bumblebee, is directed by Travis Knight (Bay remains a producer). This is two big personalities getting together to make a movie—three, really, because Six Underground is being produced by Skydance, which brings in super-producer David Ellison. Skydance is a co-financier with Paramount, yet Ellison and Bay have never worked together, despite both homing at the same studio. He has, however, worked with Reynolds before, on Life. I’m not saying there will be problems. But if there are, keep in mind that on this production, Michael Bay is the odd man out.